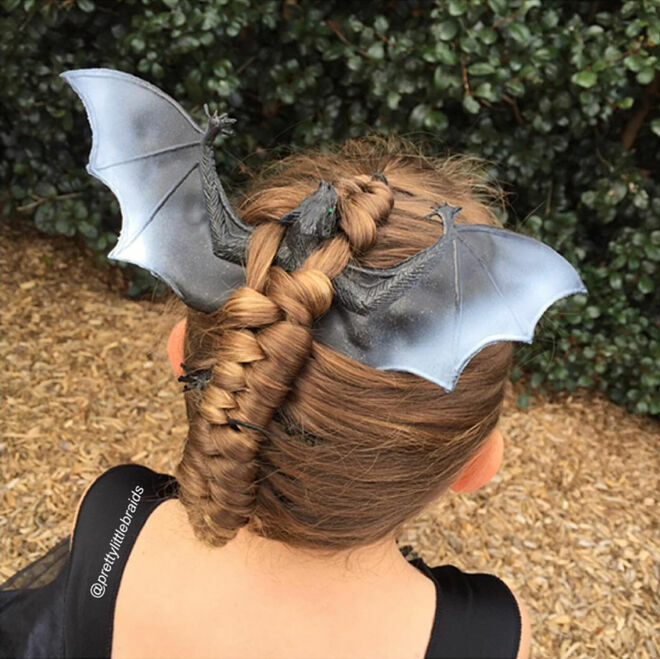 If you’re looking to get a little spooky this Halloween without having to go all out, we’ve got just the answer – hair-raising hairstyles. 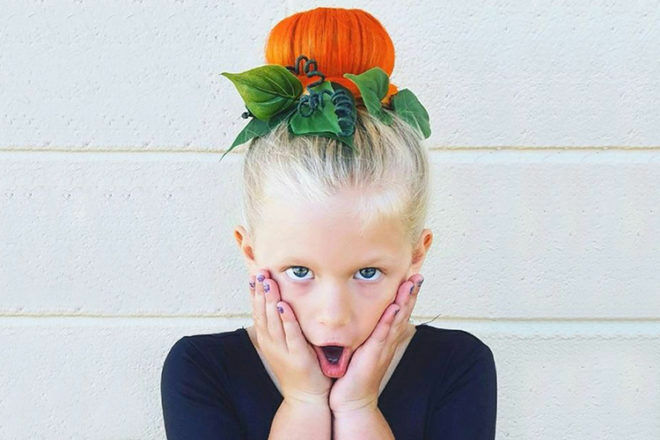 The super creative (and somewhat creepy) Halloween hairstyles are all you need to up the scare factor. 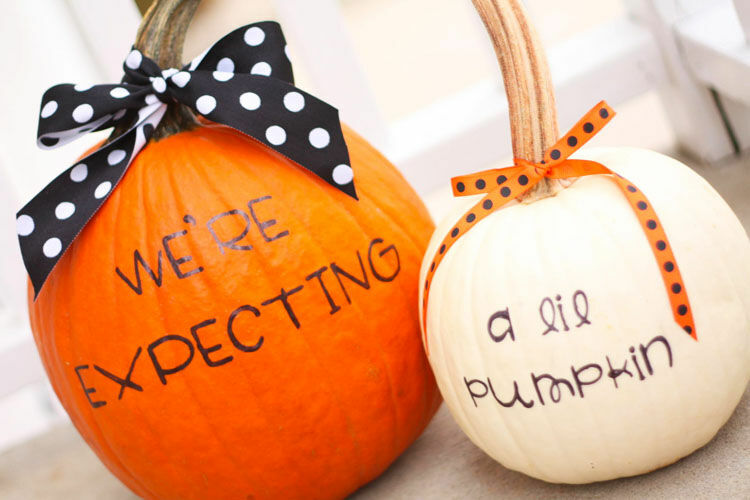 With ideas for both boys and girls covered, you’re bound to find a style to get your pumpkin party ready. 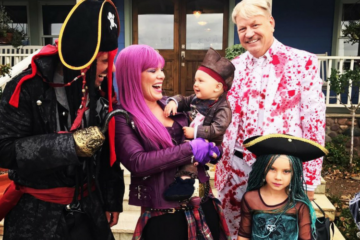 Here are 10 Halloween hairstyles so good it’s scary. 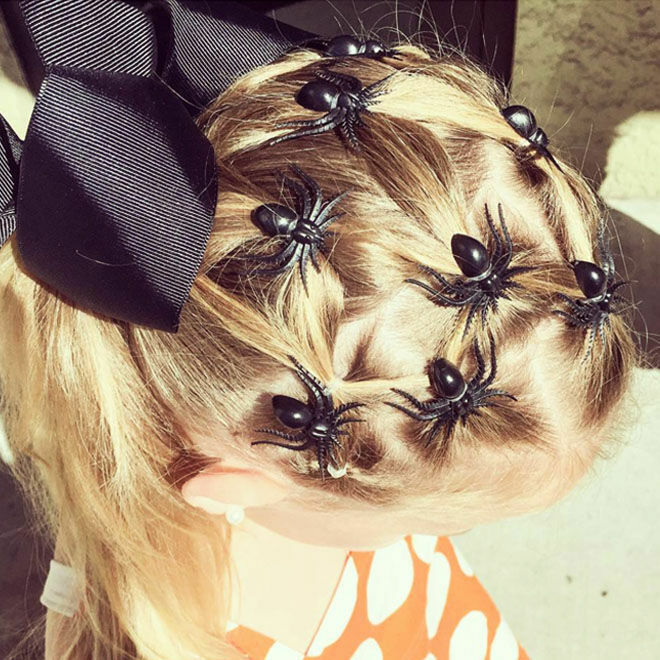 This gorgeous braid with black spiders and a black bow to boot make for an uber stylish Halloween hairstyle that mumma and daughter can rock together. 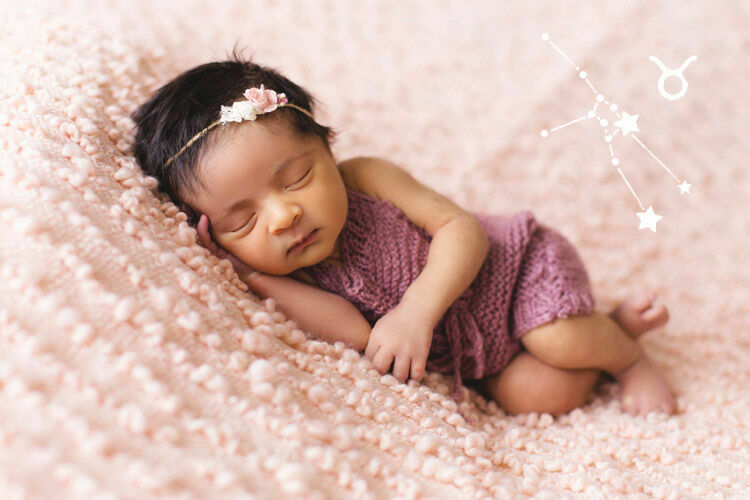 Inspo from Mommy Makes Things. 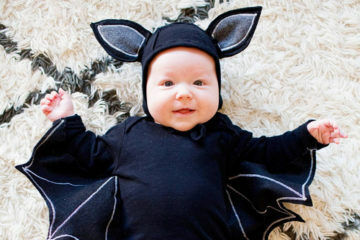 A winged number by Pretty Little Braids will have your little bat girl looking the part. 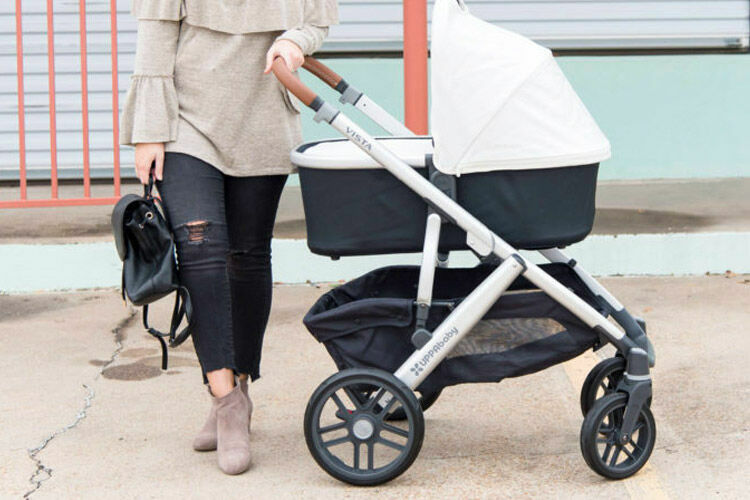 Super simple but oh so effective. 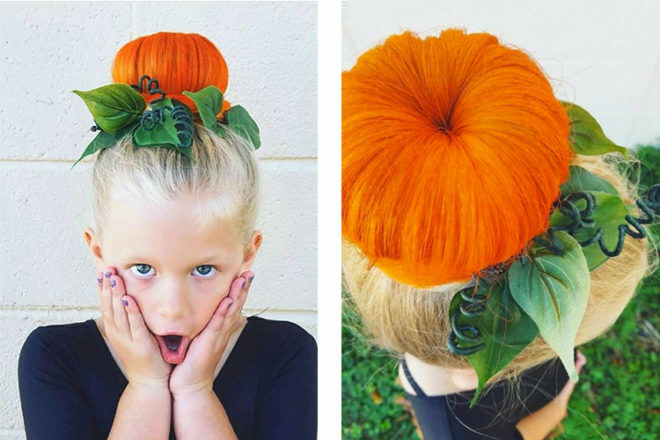 A spritz of orange hair spray, a big bun and a little greenery are all you need for a Halloween hair pumpkin. Magic Maker shows us how to make the perfect pumpkin bun. 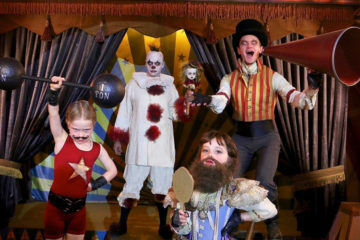 READ MORE: 13 ways to win best dressed this Halloween. 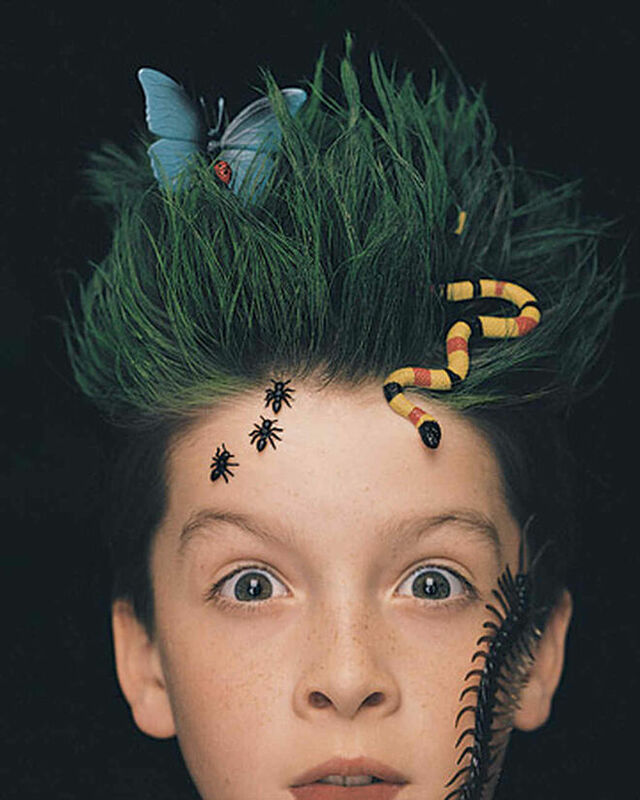 Suitable for any length of hair, this eerie example from Martha Stewart proves that a little hairspray and a few plastic insects go a long way. 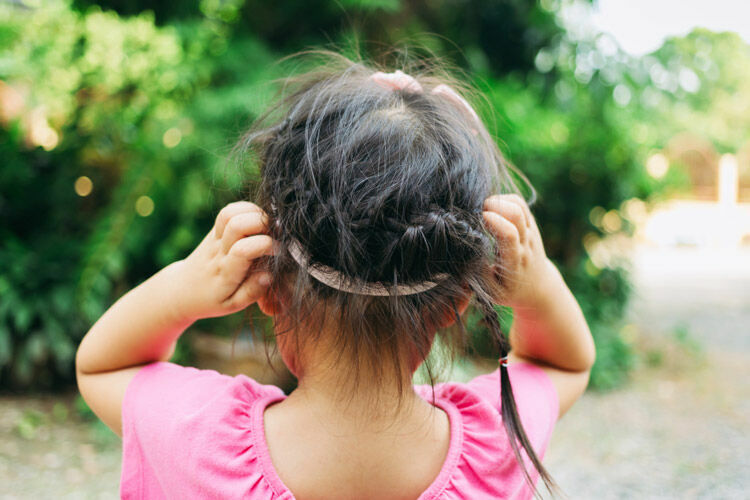 Simple as that Blog has a hair hack to tingle our spidey senses. 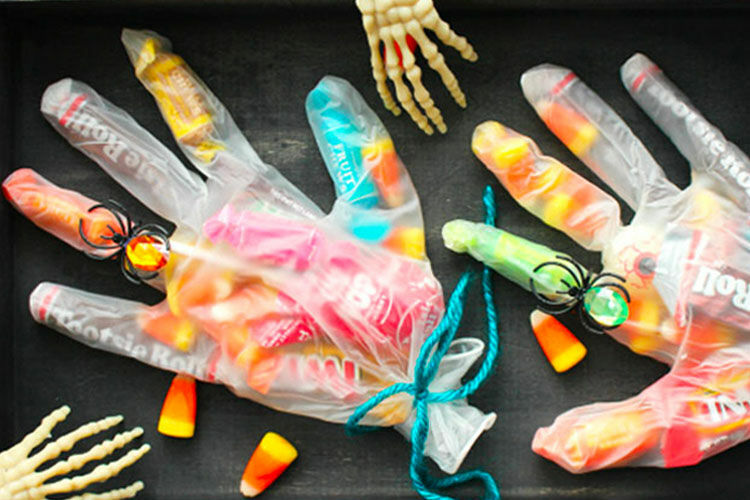 Grab a handful of pipe cleaners (eight to be exact), then poke them into a bun. 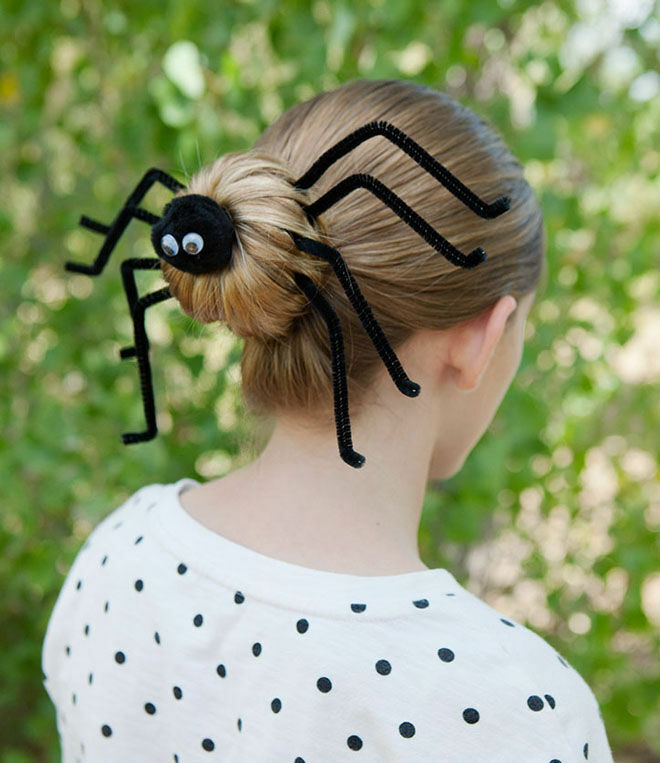 You have yourself a spider hairstyle. Simple! 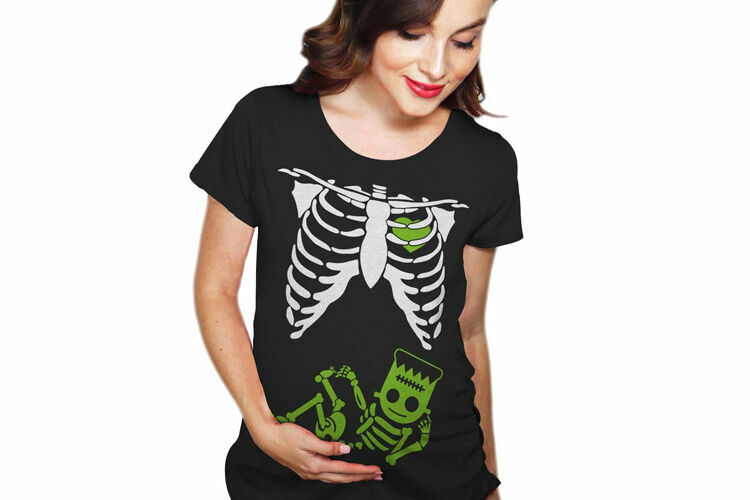 Hair Address ticks all the Halloween boxes with a seriously spooky hairstyle that’s sure to rattle a few bones. 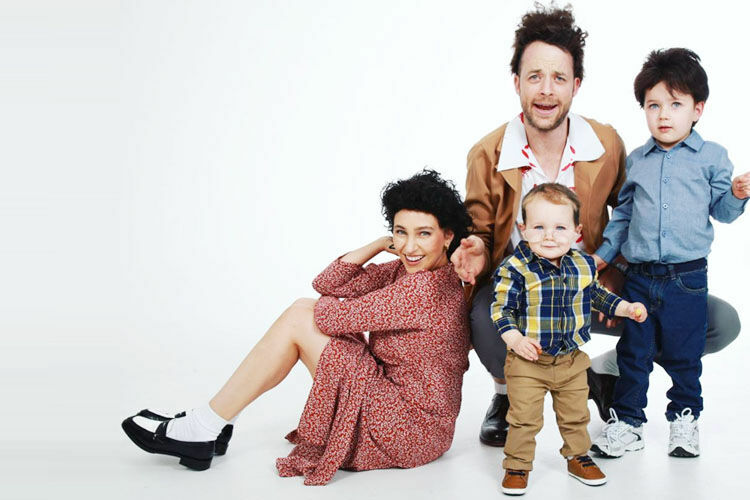 READ MORE: 10 totally do-able Halloween facepaint designs. How can you be afraid of spiders when they look this good? 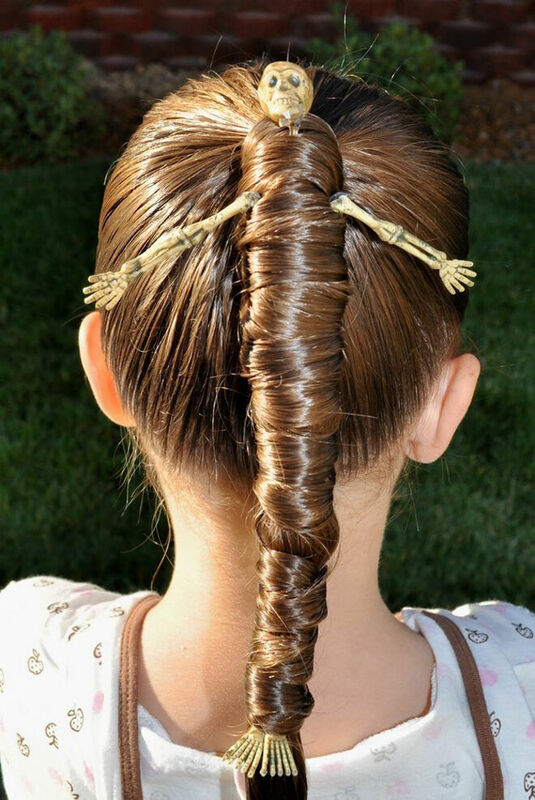 Brown Haired Bliss shows us her serious skills by creating a web of hair fit for any (fake) spider. 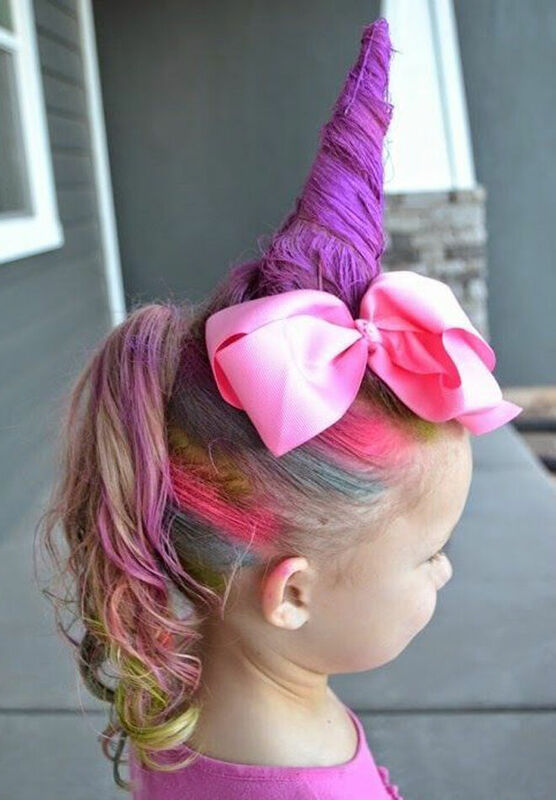 For those looking for more of a treat than a trick, this colourful unicorn hair by Lou Lou Girls will no doubt snag some extra bounty. 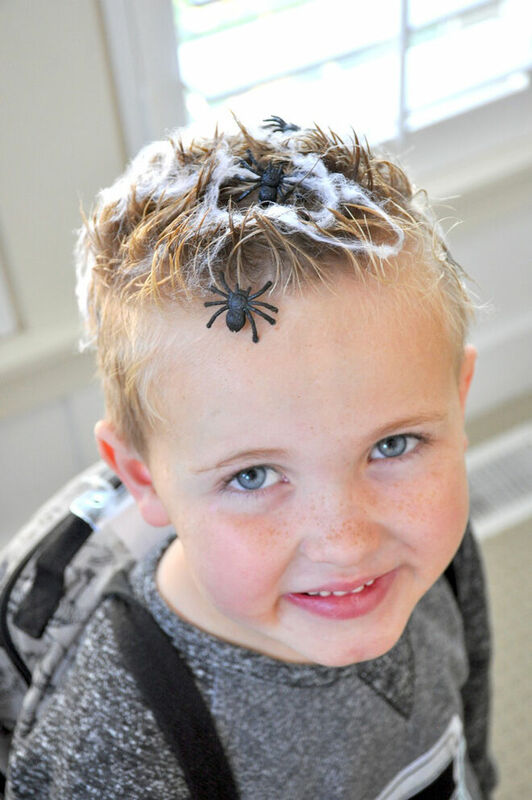 Another quick and easy solution for boys Halloween hair. 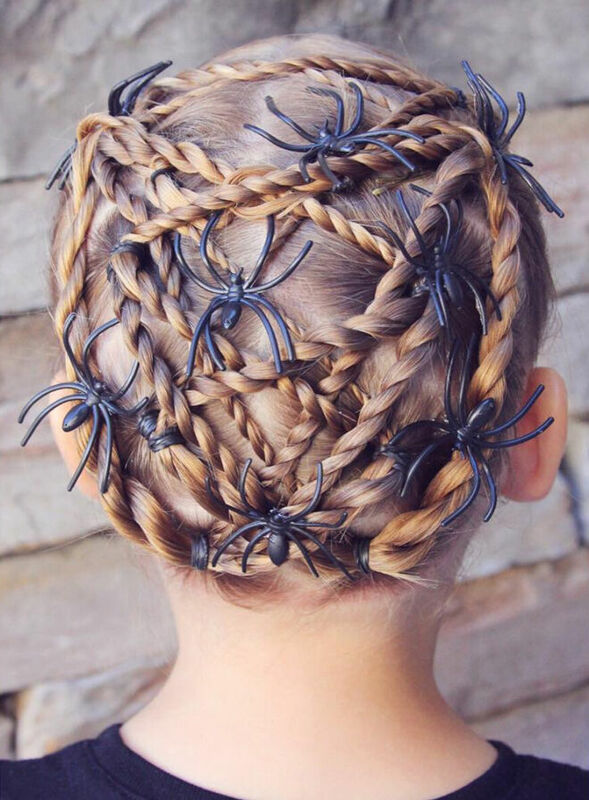 Kara’s Party Ideas have all you need for this arachnid style that will work with the shortest of cut. 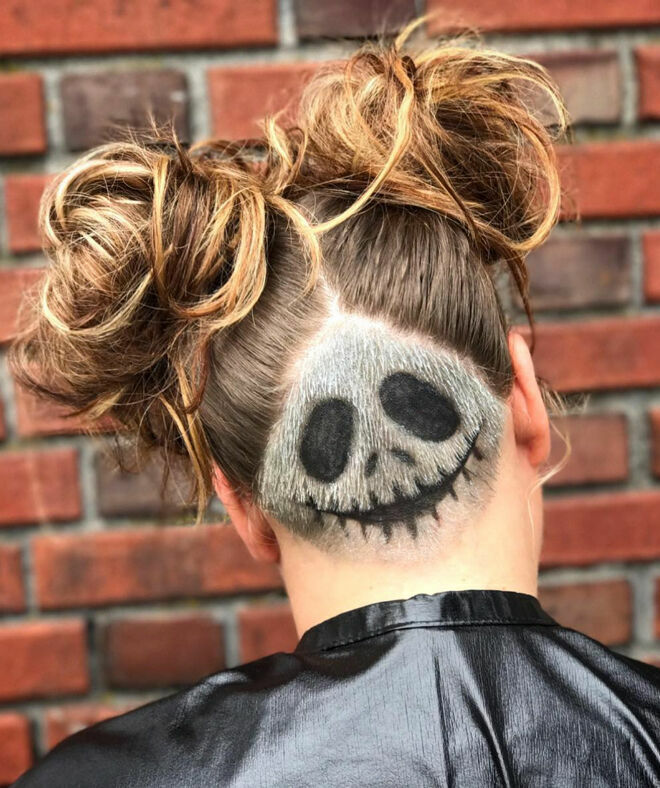 If you’re willing to go the all out, the undercut skeleton hairdo by Hair by Maddy is sure to turn heads.